If you’ve worried about a loved one feeling isolated and trapped at home, and if calling them a cab to get to their appointments has made you a nervous wreck, we’ve got the solution for you: Accompaniment Transportation. 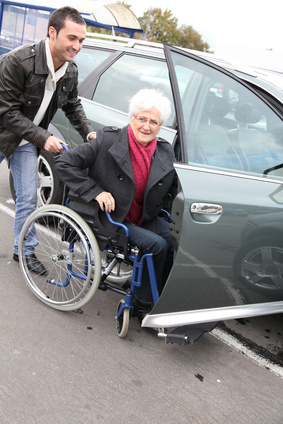 Our accompaniment transportation service is much more than just a door-to-door transportation service. Our caregivers go above and beyond, accompanying your loved one wherever they need to go, ensuring their safety and giving you and your loved one the peace of mind to know they will be well taken care of while they are away from their home. CarpeVITA Home Care Accompaniment Transportation services are not a taxi, bus, limousine, ambulance, ambulette or transit service. Our services are provided outside of or along side our companion services. We prefer at least 24-hour notice, and we can provide service for a single event or on a regular schedule, seven days a week, including holidays. Contact us for prices and mileage fees that may be incurred.